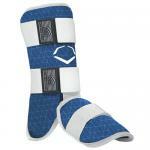 Take back the plate with the EvoShield Protective Batter's Elbow Guard. The Protective Batter's Elbow Guard features our Gel-To-Shell™ custom-molding technology ensuring a perfect custom fit. A redesigned covering offers a durable surface and a quick release pull-tab for easy-on, easy-off feel without sacrificing the lock tight hold. 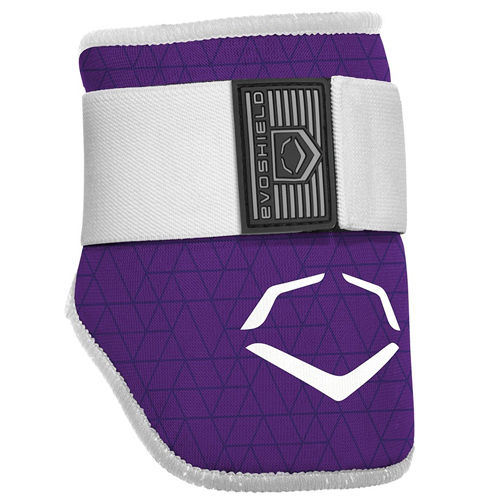 Showcase your style and own the plate with the fresh look of EvoCharge™ featuring original patterns and dynamic colors. 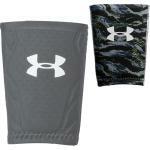 GEL-TO-SHELL TECHNOLOGY: begins soft and flexible, transforms to hard and protective in minutes. IMPACT IS DISPERSED: not absorbed. CUSTOM-MOLDING SHIELD: molds to user's body shape, ensuring a perfect fit, custom molds to fit left or right handed hitters. SHIELD IS HAND WASHABLE: air dry. 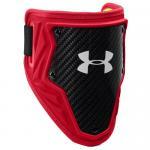 ADULT COVERAGE: 9"W x 6"H.
Includes: (1) Protective Elbow Guard, (1) Elastic Strap.